Amidst a backdrop of considerable concerns around youth employment in many parts of the world, a new European Commission study released this month finds that young people who study or train abroad not only gain knowledge in specific disciplines, but also strengthen key skills highly valued by employers. The Erasmus Impact Study: Effects of mobility on the skills and employability of students and the internationalisation of higher education institutions finds that internationally mobile students are half as likely to experience long-term unemployment compared with those who have not studied or trained abroad and that, five years after graduation, their unemployment rate is 23% lower. The study sets out to measure the impacts of the recently reinvigorated Erasmus student mobility programme in Europe. Under new budget commitments concluded in December 2013, the expanded programme will provide funding for more than four million people to study, train, work, or volunteer abroad through 2020. Erasmus+ is the world’s most ambitious student mobility programme and the new impact study is correspondingly impressive in its scope. 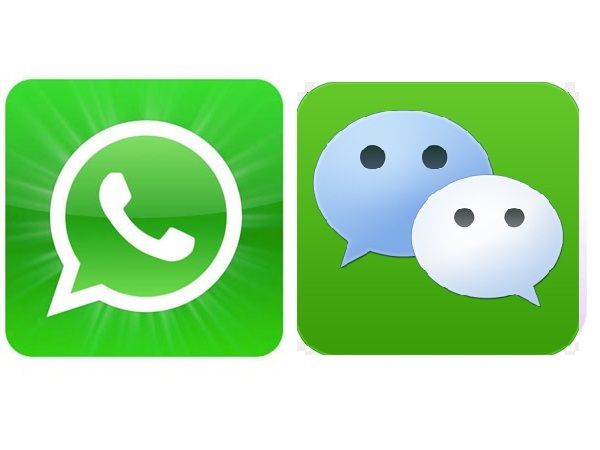 The findings are based on a series of five online surveys conducted in 2013 and with a combined sample size of nearly 80,000 individual responses. These include 56,733 students (mobile students with and without Erasmus experience as well as non-mobile students), 18,618 alumni (83% mobile with and without Erasmus), 4,986 staff (academic and non-academic, mobile and non-mobile), 964 higher education institutions, and 652 employers across the 34 countries participating in the programme. 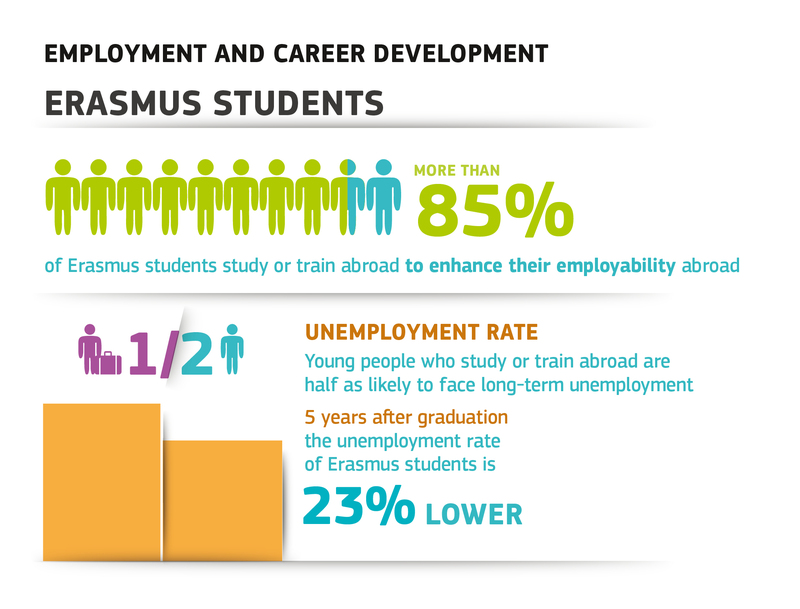 The study notes that 85% of Erasmus participants want to study or train abroad in order to enhance their employability. And a good thing too because, as the report also highlights, employers are looking for that international experience and the skills and perspectives that come with it. Not only were Erasmus students found to more employable, they were also found to be in a better position for graduate employment on completion of their time abroad. Over one third of Erasmus trainees who completed a work placement abroad had been offered a position with their host company, and one in ten had been involved in launching their own companies, with three out of four envisioning doing so in the future. With this international and entrepreneurial mind-set, Erasmus students were also found to have a tendency towards further international travel, with 40% of Erasmus alumni shown to have moved to another country after graduation, compared to just 23% of home students. This international experience also seems to impress employers, with 64% saying that they gave greater professional responsibility to candidates with an international background. In their personal lives, Erasmus students were also found to be more internationally minded, with 33% of Erasmus alumni said to have a life partner of a different nationality to their own, compared to just 13% of non-mobile students. From this, the European Commission calculates that since 1987, one million babies have been born to Erasmus couples. The importance of these findings is driven home by the context in which they are released this month. There is ample evidence of significant and persistent labour market gaps – that is, mismatches between the skills that students graduate with and those that employers require – as well as high levels of youth unemployment in many parts of the world that continue to hold the attention of political and economic leaders. Left unchecked, these issues represent major challenges to social and economic development for a number of countries and regions. The panelists concurred in the end as to the importance of exposing students to international experience. Indeed, their discussion is well supported by the evidence in this month’s European Commission report and by its strong findings as to the key role that study or training abroad plays in both skills development and employability.